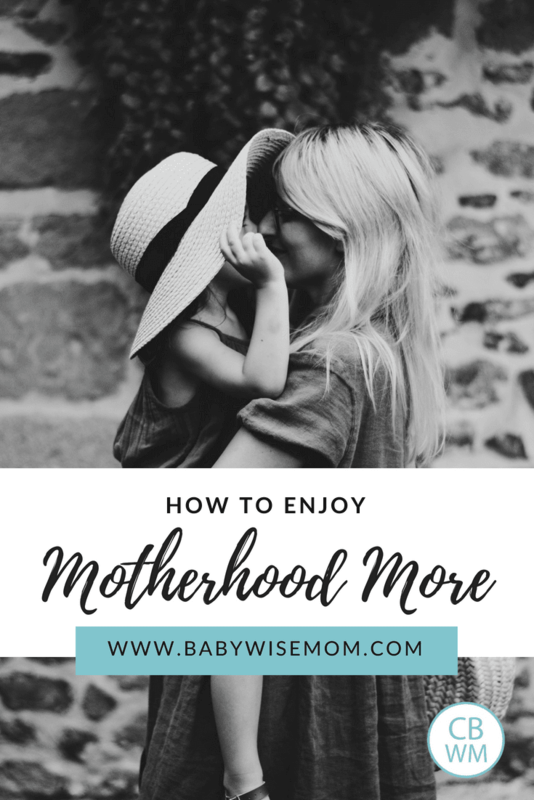 How To Enjoy Motherhood More Thoroughly. Tips for mothers and fathers to help make motherhood more enjoyable. I did this post a while back, but I recently tweaked it a bit and posted it on growingkids.org. It is worth repeating, so here it is with some updates. 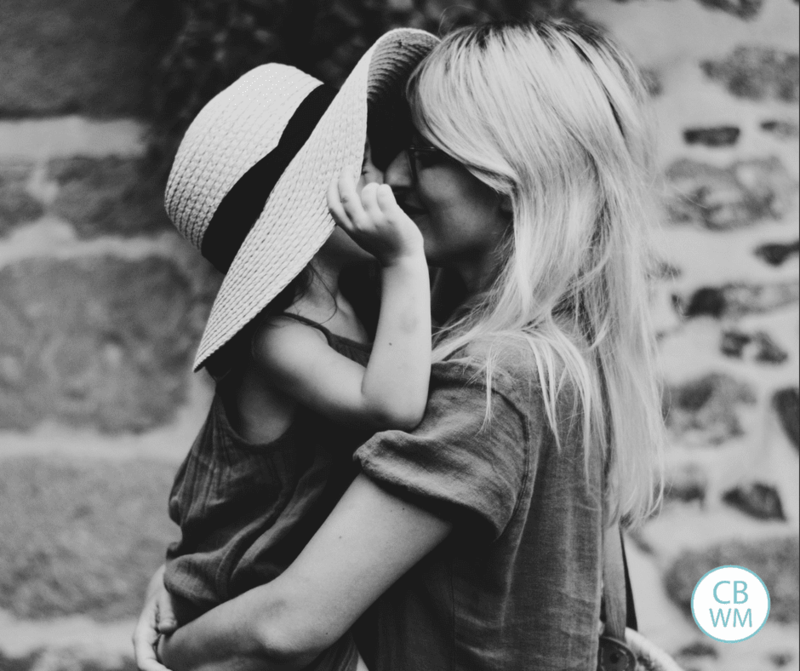 I attended a church conference for the Church of Jesus Christ of Latter Day Saints this past April and one talk really stood out to me –and stood out to all mothers I talked to. It was presented by one of our church Elders, M. Russell Ballard and I wish to share some highlights from his message entitled Daughters of God. QUESTION 1: What can you do, as a young mother, to reduce the pressure and enjoy your family more? First, recognize that the joy of motherhood comes in moments. There will be hard times and frustrating times. But amid the challenges, there are shining moments of joy and satisfaction. Author Anna Quindlen reminds us not to rush past the fleeting moments. She said: “The biggest mistake I made [as a parent] is the one that most of us make. . . . I did not live in the moment enough. This is particularly clear now that the moment is gone, captured only in photographs. There is one picture of [my three children] sitting in the grass on a quilt in the shadow of the swing set on a summer day, ages six, four, and one. And I wish I could remember what we ate, and what we talked about, and how they sounded, and how they looked when they slept that night. I wish I had not been in such a hurry to get on to the next thing: dinner, bath, book, bed. I wish I had treasured the doing a little more and the getting it done a little less”(Loud and Clear , 10–11). QUESTION 2: What more can a husband do to support his wife, the mother of their children? Third, give your wife a “day away” now and then. Just take over the household and give your wife a break from her daily responsibilities. Taking over for a while will greatly enhance your appreciation of what your wife does. This is a summary of the talk. All “bold” have been added by me, as well as the bullets. To read the talk in its entirety, follow this link. I hope these words can offer you comfort and ideas for improving your happiness in your mothering. I have long recognized that one of the biggest challenges of life is to be content with where you are. “The grass is always greener on the other side.” When Brayden (my oldest, now 3) was a baby, I would always think things like, “once he is sleeping through the night, things will be good” “once he is crawling, we will all be much happier” (he was extremely active) and “once he is walking, it will be much easier.” While all of those things were true, I was looking to the future too much and therefore missing the present. Each stage of your child’s life has its perks and its difficulties. Some stages are easier than others in general, but none is without its challenges. One I learned to truly be happy with where Brayden was, I was much happier. I am personally not a huge fan of the newborn stage. I know for some that is their favorite. Not me. I am more of a toddler person. I love the fun of toddlerhood. I love it once the baby reaches one year old. With Kaitlyn (now 15 months), I really strived to enjoy her newborn months. Newborns are cuddly and so small. They don’t talk back. They are comparatively easy to make happy. Those first smiles and giggles fill your heart to overflowing. I truly enjoyed those sweet newborn moments; however, I can still see room for improvement in my heart. When we have our third child, I will strive enjoy those tender moments even more. There are always things to get done. You will always have projects and chores waiting for you. There are countless jobs that are never truly done. Cleaning can always be done more deeply, and once you get it cleaned to perfection it takes a matter of moments for it to start to get dirty again. Remember that while cleanliness is a good thing, your children will remember and care more about the memories made with you than how clean your house was. Yes, you want it sanitary, but sometimes things can wait. This is a challenge for me. I find myself often putting my children off so I can finish cleaning something. When I seize that moment to play with them, we have such fun, and the dishes always do get done. Enjoy your children and enjoy your position as a mother of your sweet little ones. Motherhood is hard. Applying Babywise principles to your family can be stressful at times. You worry that you are doing something wrong when your child isn’t “textbook.” You fuss over the schedule. Try to relax. Remember that your schedule is to serve you and your family. I always tell moms to work on things, but don’t let it consume you. Don’t put so much stock in how many hours straight your 14 week old is sleeping in the night. Work on things always, but also accept where things are at so that you don’t let these precious moments pass you by. Through these simple words of counsel as shared by Elder Ballard, you can enjoy your time with your children and get the most out of these years you have with them. Take care of yourself. Take care of your family. Enjoy each moment. Focus on the things that can’t afford to be put off. Prioritize your goals each day. As I look over this counsel, I see how easy it is to apply it because of the principles of Babywise. Independent playtime can help give you time to do things around the house, and also to follow your own hobbies and interests. Knowing the schedule of your children gives mom the opportunity to leave the house and not stress about the state of her children—as much J (sorry Dads, but we often take some time to chill out, no matter how much we trust you). Couch time offers mom and dad a time to talk about the needs of the children each day. You can enjoy motherhood. To talk to moms whose children are all grown and gone, they always counsel to enjoy your children because before you know it, they are grown and gone. Let’s learn from these women and receive full joy from our position as mothers. I am SO struggling with “living in the moment” right now, as I too am not a huge fan of the newborn stage. Thank you for the reminder to enjoy my baby, not fuss too much over his schedule, and not let the fact that Babywise isn’t going perfectly this time around discourage me. Motherhood truly is a divine role & we are so fortunate to be in that role now. It is important to acknowledge some of the more difficult moments – as they come often. But only to be swept away by the cherished ones that put it all in an eternal perspective. Thank you for the beautiful words of Elder Ballard! My 11 month daughter is beginning to have “mini fits”. What should I do? She has them in middle of playing alone or with her little cousins. She also has them while I am changing her diaper. How would you discipline for mini fits? Nikki, You are welcome! Thanks for your thoughts. Thank you for this… it brought tears to my eyes, as most things do these days! After being a mom for 4 weeks now, I am finding it to be much more of a struggle than I thought. I’ve cared for babies before many times, but of course having your own is much, much different. I didn’t expect such a difference… I just had silly expectations that I would immediately love being a mom, I’d have all the right answers with my motherly instincts, and my baby would be perfect. Getting hit hard with reality while also dealing with post-partum hormones has been pretty difficult for me. There are many times I feel I’m not cut out to be a mom. I also am always thinking “I can’t wait until he can eat food other than breastmilk,” “I can’t wait until he can hug me” “I can’t wait until he can be more independent” etc. etc. I really needed this post. Thank you!